This finishing powder, available this past February comes in six shades. It creates the illusion of being in a specific type of lighting depending on the shade you choose. I purchased this in Ethereal Light, which is the lightest and least noticeable shade. I shy away from warmth and like the super pale ethereal look, so I thought this would really be the best one for me. I didn’t really notice much of a difference when using this. It did give me a sort of pinkish white glow, but there is no way anyone else would have noticed this. I really had to look for it to see anything. I didn’t think it lasted long, a few hours max, which is sort of what I normally get with translucent finishing powders, which is why I tend to use them over my regular long-lasting powder to keep everything super smooth and HD. I think the price is a little bit high, but I have heard good things about the darker, warmer shades, so it might be worth a try. It did have an odd smell, which I didn’t care for but it only smelled in the compact, not on my face. I didn’t take any pics for this since it didn’t really show up or do anything special for me. 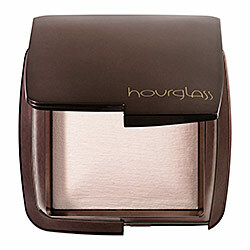 Overall, if you’re into translucent powders, Ethereal Light might be the color choice for you. I really wanted to love this, it just didn’t happen for me. If anyone has any input on some of the warmer shades, comment below! 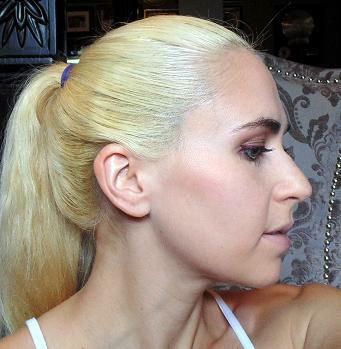 This is a color-changing foundation that comes out white, then changes color to match skin tone. 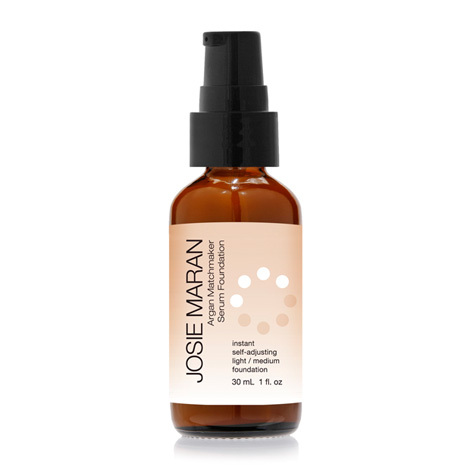 Suspends over lines and wrinkles while keeping oily areas shine free and dry areas hydrated. This only comes in three colors, so I chose the middle one, the light/medium. I was really excited to try a color-match foundation since this was my first experience with one. I am normal/dry so I was hoping this “serum” foundation would be moisturizing without being greasy looking. This is what it looks like from the bottle before applying. I used my usual flat foundation brush and I felt it was difficult to apply. It took many swipes to rid my skin of the brush strokes and it took a few seconds for it to turn to my skin color. The consistency is a little bit creamy, but not runny and the coverage is light. The color got slightly dark where my dry spots are at first, but you really need to give this about 3-5 minutes to fully settle before you see the true color. Eventually the color evened out and looked ok. I did feel it was a bit light for me and made me look washed out. Bronzer is a definite must with this. I thought it was very shiny, I used quite a bit of powder with this and didn’t think it lasted very long. It did settle in my expression lines, but the coverage is so light that it wasn’t that noticeable. It’s definitely not for me, but I think it would be good for someone with very dry skin who wants a lighter coverage. It would also be good for someone looking to use the same foundation year round since it will color match to whatever shade you are, within reason. 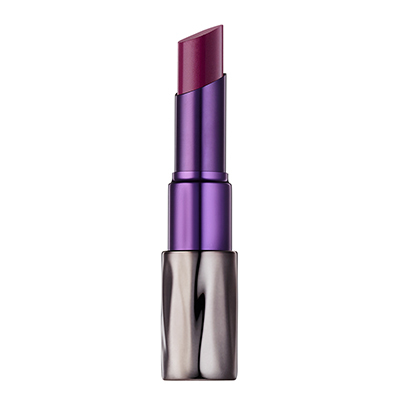 Last month, Urban Decay launched a set of 22 lip colors in their new Revolution Lipstick line. The claim is that this will provide maximum color payoff while feeling creamy and plumping lips. I purchased the shade Venom, which is sort of dark, so I’ve been trying to wait to review it until closer to fall. Although it’s a little early, I went for it today. This lipstick is round at the top, rather than having a pointed corner, so it was a little difficult for me to apply since I have a fairly deep cupid’s bow. I did manage it ok with a little touch-up but I think a brush would come in handy for me with this. The pigmentation is crazy opaque, one light swipe completely covers so make sure you are careful when applying or you will be doing some clean-up. It adheres to lips really well, so it can be a little tricky to apply until you get used to it. This means it lasts really well though. I didn’t notice any movement or migration at all throughout the day even though it does get very slightly feathery upon application. It makes my lips feel like juicy little pillows. 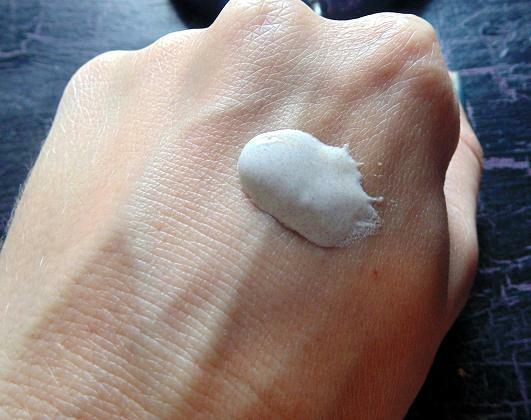 It is very moisturizing and smooth, not sticky at all. It does feel a bit tacky when I purse my lips, but in a good way, unlike gloss and not unpleasant at all (I despise sticky lipstick). I didn’t notice any actual plumping going on, but it definitely makes my lips look and feel healthy, supple and youthful. The finish is creamy satin, midway between matte and shiny. There is no flavor and this did not transfer onto my teeth at all. I do recommend using a liner with the darker shades to make them easier to apply and to create a super sharp line since they are so pigmented and have so much color-staying power. I’ve picked out four more colors I’d like to get, along with their matching liners. I am very happy with this and it’s a total win in my book. 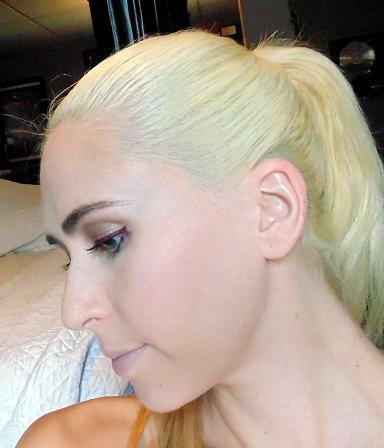 Photo is on bare lips with no liner or primer. 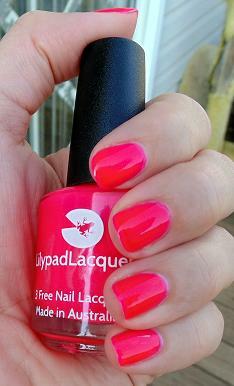 Lilypad Lacquer is a polish line from Australia and it somewhat hard to find in the US. I purchased this from my usual hard-to-find polish source: Llarowe. This polish is hand made in small batches. The shade is a super hot pink with a deep reddish undertone, mostly opaque. I absolutely love this color, it is so vibrant and is perfect for this time of year because it is on the darker side of the neon spectrum. It applies super smooth and doesn’t dry super quick, which I like because it doesn’t get gooey in the open bottle half way through. The brush is great, bristles are set wide but not too wide, similar to OPI brand. This lasted a full week with no chips or peeling. This is remarkable in my book because I rarely get past two days using the best brands on natural nails without the edges chipping off. It literally still looked freshly applied after a week, at which point I removed it to switch colors. Love this, can’t say enough great things about it. The only problem is, there weren’t many colors available, almost everything was sold out, as is typical for Llarowe. I did some more investigation and found that Lilypad Lacquer now has an Etsy site! They are offering a ton of crazy, beautiful and holographic colors at a slightly cheaper price (but higher shipping cost). Will definitely hit that up asap! My photo is of two coats with Seche Vite top coat. If you’re not that into designer brands then the first thing running through your mind is probably, “Who in their right mind would pay so much for a pair of sandals? !” But think about it, if you buy $20-$30 sandals, they’re not gonna last you but maybe a couple months, and I can tell you that from experience! With as many cheap pairs of sandals you could buy you could buy sandals like the miller sandals that will last you practically forever! Whether you’re just discovering Tory Burch or are a lover of her work as I am, then you’ll love the sandals nonetheless! TB is probably my second favorite designer; she makes clothing, accessories, and shoes; basic designer products. Anyone I’ve heard of buying TB shoes says they last a lifetime! One woman on youtube was reviewing the TB classic revas said she had them for 20 years! Talk about amazing quality! 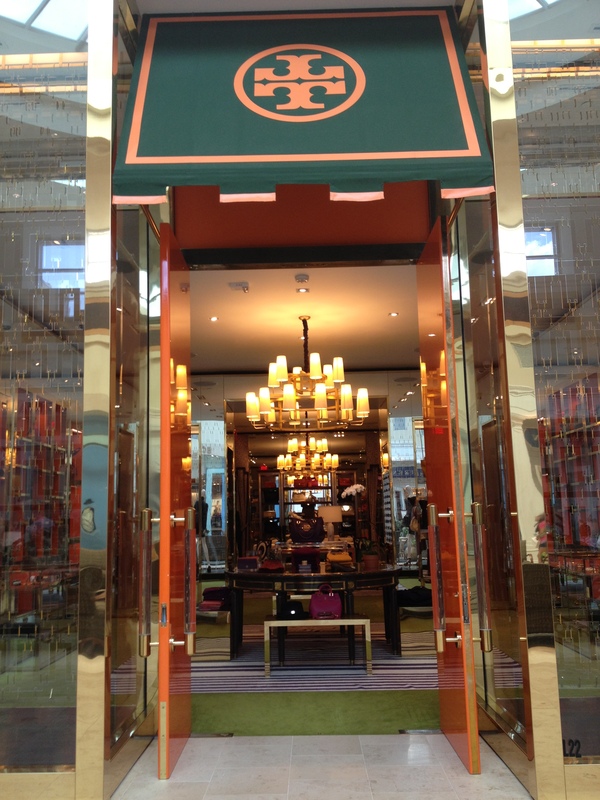 You get what you pay for and Tory Burch is worth the pretty penny you are paying for! I bought these sandals December 2012, and they are still as beautiful as the day I bought them! They’re just as durable and comfortable as ever! You have the option purchase this sandal in different colors or patterns as well. These sandals also fit true to size, I wear women’s 5.5 and the sandals I purchased are 5.5. With these beauties you will not be disappointed, and you sure will get your money’s worth! Don’t worry when you buy, you surely won’t regret buying these lovely sandals!